Rumors abound about T-Mobile “5G” LTE, with upload and download speeds already tested at 300Mbps. Currently, 4G LTE connections are tested at about a third of that, but rarely reach their full potential, usually capping off at about 50Mbps. Early speculations suggest that if 5G becomes the norm by 2014 (which it very well could), it won’t be long before 1Gbps downloads are a regular thing. Regardless of what happens next year, expect to be hearing a lot more about this relatively soon – T-Mobile is setting its goal for LTE coverage at 100 million people by June, and hoping to double that by year’s end. Looking forward, we should all get ready for faster, more reliable download and upload speeds, but the kind of advancement that 5G LTE-A service offers the industry will definitely have a negative impact on other networks. If you’re still rocking a 2G connection, your service is probably gonna get cut off within the year, and you’ll be forced to upgrade. And prices are likely to spike at least a little bit for all service types within the next 18 months. 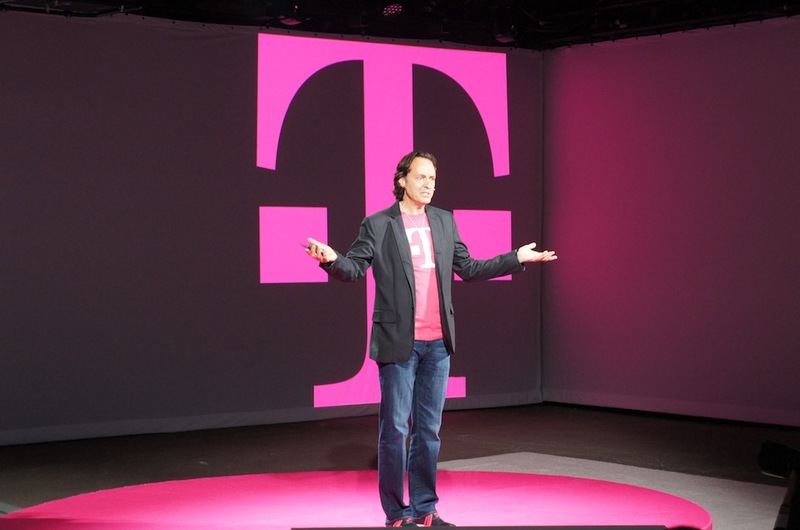 T-Mobile is currently the fourth largest carrier in the industry, and if it really does end up being the first one out of the gate for 5G LTE-A connectivity, it could very well have a few months all to itself in the field. It may have a great shot at a record year.